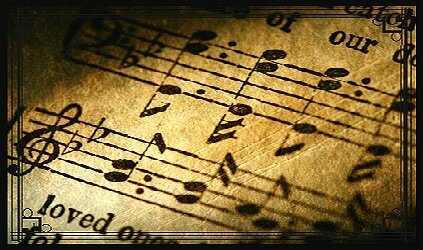 Hymns - Westminster Congregational Church ""
Here are some of the hymn's we have come to love and cherish. These are not found in our regular Church Hymnal, but are being gathered into a supplement. How we love to sing the old hymns of the faith! Here are some of the hymn's we have come to love and cherish. These are not found in our regular Church Hymnal, but are being gathered into a supplement. How we love to sing the old hymns of the faith! "Here Is Love" has been called the "Love hymn of the great Welsh Revival." We often sing this hymn when celebrating the Lord's Supper. Hart resisted Christ­i­an­i­ty while young, writ­ing the pamp­hlet The Un­rea­son­a­ble­ness of Re­li­gion, Be­ing Re­marks and An­im­ad­ver­sions on the Rev. John Wes­ley’s Ser­mon on Ro­mans 8:32. How­ev­er, Hart came to Christ in 1757, be­com­ing an e­norm­ous­ly pop­u­lar preach­er and hymn writ­er. Tens of thou­sands at­tend­ed his fun­er­al. Years ago, while re­viv­al meet­ings were be­ing held in one of the large towns in Scot­land, a young girl be­came anx­ious about her spir­it­u­al con­di­tion. Re­turn­ing from one of the meetings, she went to her own min­is­ter and asked him how she might be saved. "Ah, lass­ie," he said, "don’t be alarmed! Just read your Bi­ble and say your pray­ers, and you will be all right." But the poor, il­lit­er­ate girl cried out, "O Min­is­ter, I can­na read, I can­na pray! Lord Je­sus, take me as I am!" In this way the girl be­came a fol­low­er of Christ; and a la­dy who heard of the girl’s experience wrote this hymn…I found the vers­es in a re­li­gious news­pa­per and set them to the sim­ple mu­sic by which they are now most gen­er­al­ly known. At the same time Mr. Stebins al­so found the vers­es and set them to mu­sic, and he sent them to me at the same time that I was send­ing my tune for the same words to him. In “Gos­pel Hymns” both tunes are pub­lished. A min­is­ter in Eng­land writes to me about a Christ­ian wo­man, a shoe­mak­er’s wife, who had a lodg­er that was an ob­stin­ate un­be­liev­er. The good wo­man oft­en tried to in­duce him to go to meet­ings, but in vain. Tracts which she placed on the ta­ble in his room she found crushed on the floor. She would smooth them out and again place them so as to at­tract his at­ten­tion, but he would read no­thing but his no­vels and news­pa­pers. One spring the old man fell ill with bron­chi­tis. The good wo­man act­ed as his nurse, for he had no rel­a­tives who cared for him. She used the op­por­tun­i­ty, oft­en speak­ing to him about his soul and read­ing the Word of God; but she could make no im­press­ion up­on him. One day she was read­ing the hymn Je­sus, my Lord, to Thee I cry, and when she came to the re­frain, the old man called out to her sharply: That’s not in the book! The wo­man an­swered, Why yes, it is. He de­clared again that he did not be­lieve it was in the book. The good wo­man told him that he could read it for him­self. He asked for his glass­es, and read with won­der and amaze­ment, again and again, My on­ly plea—Christ died for me! oh, take me as I am. A few weeks af­ter­ward he said to the wo­man one morn­ing, I am go­ing home to-day, and I am so hap­py, so hap­py! In an hour or two he passed away, re­peat­ing those words to the last. Stiles, the composer writes, "It was in 1876 that I wrote ‘Beulah Land.’ I could write on­ly two vers­es and the chor­us, when I was over­come and fell on my face. That was one Sun­day. On the fol­low­ing Sun­day I wrote the third and fourth vers­es, and again I was so in­flu­enced by emo­tion that I could on­ly pray and weep. The first time it was sung was at the reg­u­lar Mon­day morn­ing meet­ing of Meth­od­ists in Phil­a­del­phia [Penn­syl­van­ia]. Bi­shop Mc­Cabe sang it to the as­sem­bled min­is­ters. Since then it is known wher­ev­er re­li­gious peo­ple con­gre­gate. I have ne­ver re­ceived a cent for my songs. Per­haps that is why they have had such a wide pop­u­lar­i­ty. I could not do work for the Mas­ter and re­ceive pay for it. Headley relates, in his Life of General Grant, that as the wounded were borne from the field of Shiloh, a fatally wounded captain, after speaking of his sufferings through the preceding night, said, "I could not help singing that beautiful hymn: 'When I can read my title clear.' And there was a Christian brother in the brush near me. I could not see him, but I could hear him. He took up the strain, and beyond him another and another caught it up, all over the terrible battlefield of Shiloh. That night the echo was resounding, and we made the field of battle ring with hymns of praise to God." The young student was so impressed with what he saw and heard that, from that time on, he was deeply convicted of sin, and rested not till he found rest in Jesus. He eventually became a minister, and told the author that the echo of that happy slave’s song still follows him.